Help Max find all the numbers of uncle Pong’s secret formula in this lovingly beautiful point and click adventure for the whole family. It’s a beautiful day in the village Rightaroundthecorner, when the little dog Max suddenly receives a letter from his uncle Pong. Afraid, he writes that aunt Lisa’s leaning tower will fall down if he won’t repair it in time! For that, he needs his special secret formula, but he has hidden the needed numbers all over his house and forgotten where! 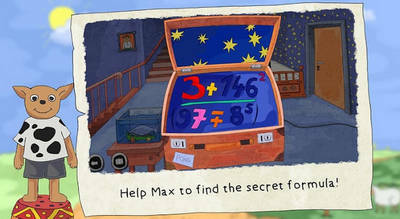 Help Max solve the issue and retrieve all the numbers! No matter if the cellar, the kitchen or even the refrigerator – the numbers could be anywhere! 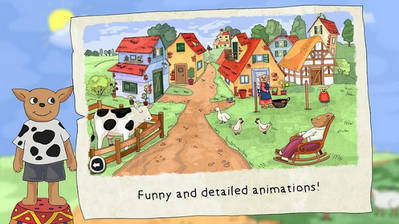 Not only the smallest adventurers can accompany Max – there is also much fun and surprise waiting for bigger kids and story-lovers... read more on Google Play. Install Apk, Copy ‘com.tivola.max’ folder to sdcard/Android/obb/, have fun!